I’m potato obsessed. I manage to work potatoes into my diet every single day. I do not discriminate. Give them to me any way and I’ll be happy. Lately I’ve been playing around with a few variations on baked fries and I needed a break from the baked fries. It’s not you, baked fries. It’s me. It was on this little hiatus that I created these crispy, salty, garlicky bites of heaven. 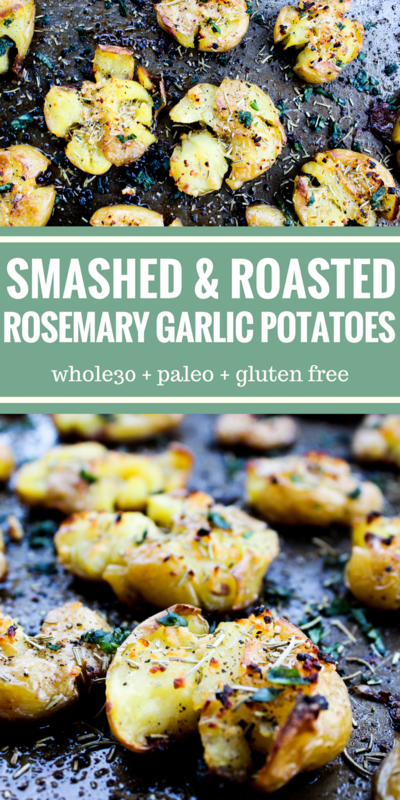 Also known as Smashed & Roasted Garlic Rosemary Potatoes. Oh, dear friends. These babies are amazing. The first time I made them I would have eaten the entire pan myself (not an exaggeration) but my husband caught on to what was happening and stole a few handfuls. He gave me a very surprised “And they’re really Whole30?”. Why yes. Yes, they are. They. Are. So. Dang. Good. They are crispy on the outside from roasting at a very high temperature. They are soft on the inside from being quickly boiled prior to going in the oven. They are buttery (it’s ghee). Make some. Good luck not gobbling them all up yourself. Bring a pot of water to boiling and then add the potatoes. Allow them to boil for 5-8 minutes or until potatoes are a little soft to the touch. 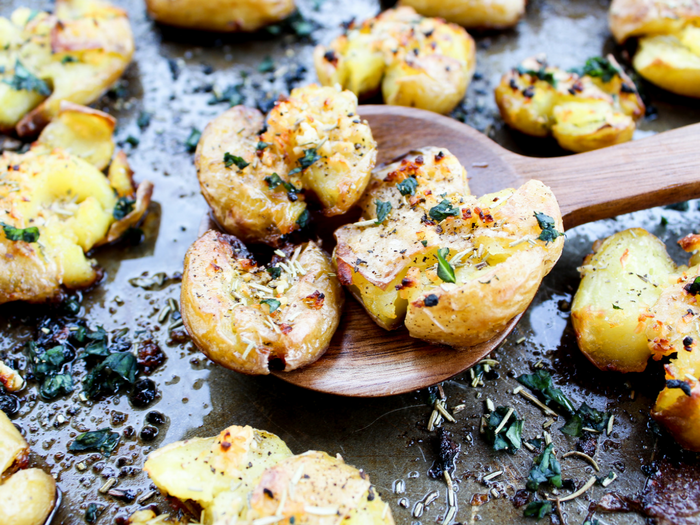 Oil your baking sheet with olive oil to prevent sticking and then spread your potatoes in an even layer on the baking sheet. You don't want one on top of another or they won't brown as well. Use a potato smasher or fork to gently press down on each potato so they are a bit flattened. A potato smasher does a better job because it evenly flattens the potato. You'll have more potatoes fall apart if you use the fork but don't sweat it. They'll taste delicious anyway. Melt your ghee in a microwave safe dish or on the stove. Stir the garlic into the ghee. Pour your ghee/garlic mixture over the potatoes. 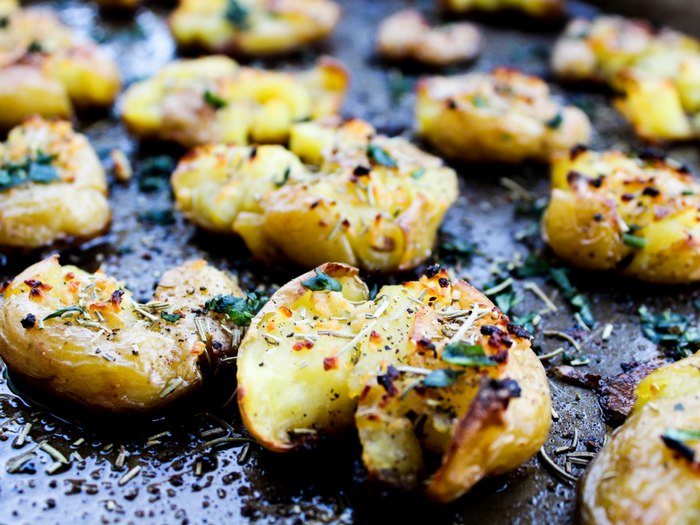 Place baking sheet of potatoes in the oven. Bake for 20-25 minutes. (25 minutes works best for my oven.) 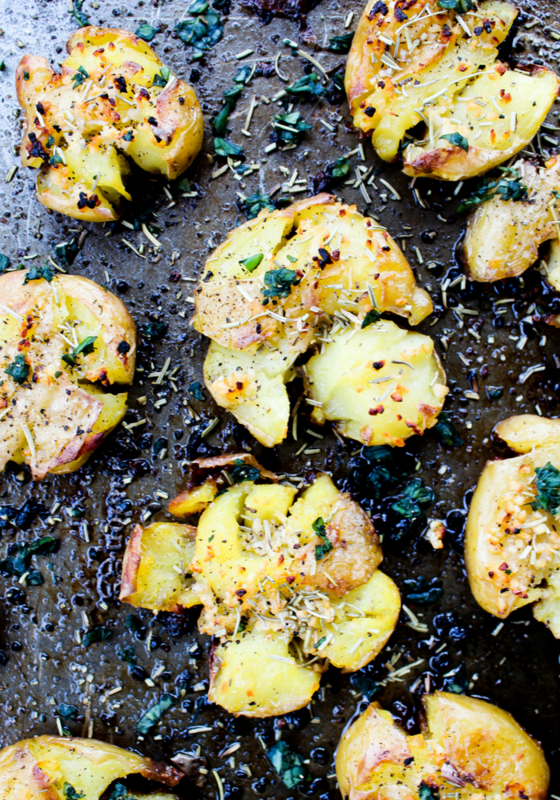 Potatoes should have some browning and be crispy on the outside. Gobble those babies up right away! Interested in another potato recipe? 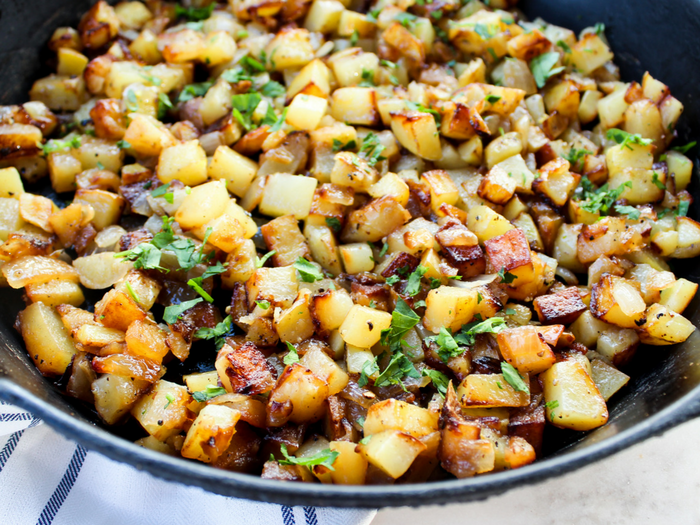 My Skillet Breakfast Potatoes are so easy and yummy! HOW DO YOU COME UP WITH SUCH FREAKING GOOD RECIPES. IT’S AMAZING. Hahaha! 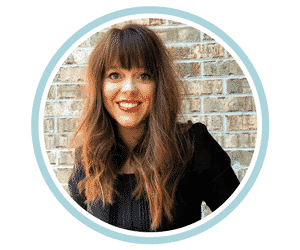 Thank you so much, Julie!